We will respect your privacy. You should receive marketing emails only from us and, if you agree, from other organisations we have carefully chosen. The minimum information we need to register you is your name, email address and a password. 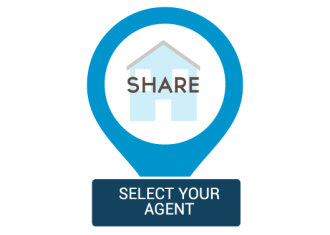 We will ask you more questions for different services, including property details. Unless we say otherwise, you have to answer all the registration questions. After you have registered, we may send you emails we think may interest you. At any time you can decide not to receive these emails and will be able to ‘unsubscribe’. If you log-in to our sites using a Facebook log-in, you are granting permission to Facebook to share your user details with us. This will include your name, email address, date of birth and location which will then be used to form a Lifestyle Listings identity. You can also use your picture from Facebook as part of your profile. This will also allow us and Facebook to share your,networks, user ID and any other information you choose to share according to your Facebook account settings. If you remove the Lifestyle Listings app from your Facebook settings, we will no longer have access to this information. 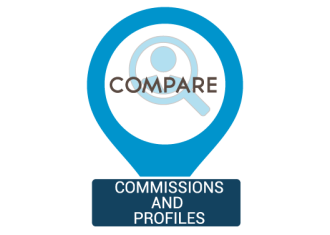 We offer a ‘My details’ page (also known as Dashboard or profile), where you can update your personal information at any time, and change your marketing preferences. You can get to this page from most pages on the site. Your personal information may be shared with the Lifestyle Listings group of companies based in Australia. Some of our webpages use plug-ins from other organisations (such as the ‘Facebook Recommend’ function). These other organisations may use information about your visit to our websites on their pages. If you browse these pages while still also logged in to your account with us, information they collect may be connected to your account on their site. For more information on how these organisations use information, please read contact us. We use other organisations to collect anonymous user information, sometimes through cookies and web beacons,(information embedded in images which allow them to analyse how the website is being used and the number of visitors). As you browse our sites, some of the cookies we place on your computer will be advertising cookies, so we can understand what sort of pages you are interested in We can then display advertising on your browser that is based on these perceived interests. We may also share anonymised behavioural data with advertising partners. This may mean that when you are on other websites, you will be shown advertising based on your behaviour on Lifestyle Listings. We may also show you advertising on our site based on your behaviour on other sites. Behavioural retargeting is another form of OBA that allows us and some of our advertising partners to show you ads based on your browsing patterns and interactions with a site away from our sites. This allows companies to advertise to you if you leave their website without making a purchase. If you would like access to or a copy of the personal information we hold about you, or have any questions about how we may use it or to make a complaint, please contact the Lifestyle Listings administrator.